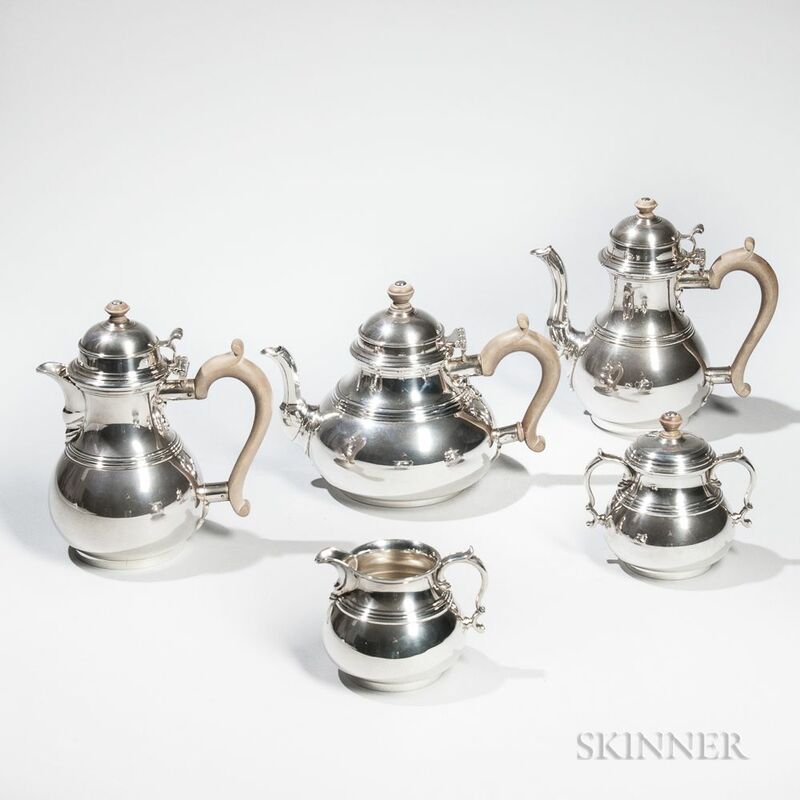 Five-piece Elizabeth II Sterling Silver Tea and Coffee Service, London, 1953-54, William Comyns & Sons Ltd., maker, coffeepot, teapot, covered sugar, hot milk pot, and creamer, ht. to 7 1/2 in., approx. 83.3 troy oz.